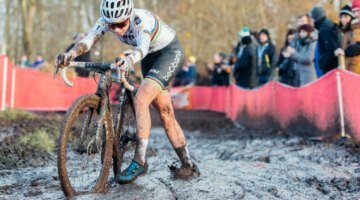 The 2016-2017 Women’s World Cup series has seen thrilling finish after thrilling finish—Sophie de Boer at Cross Vegas, Sanne Cant at Zeven, Katerina Nash at Namur. Monday’s race at Heusden-Zolder did its part in following this tradition of enthralling Women’s finishes. Eight riders went into the bell lap together, and halfway through the lap a selection of Marianne Vos (Rabobank Liv), Sanne Cant (IKO Enertherm-Beobank), and Katerina Nash (Clif Bar Pro Team) broke off the front. 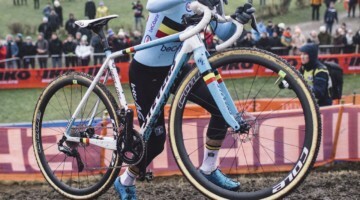 Vos used her overwhelming power to put her rivals on the limit and dominated a series of steep uphills late in the final lap to take home her first World Cup victory since winning at Heusden-Zolder in 2014. 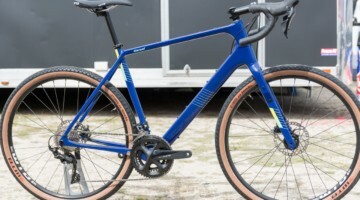 The Heusden-Zolder race, which is also called the Grand Prix Eric De Vlaeminck in honor of the seven-time World Champion who dominated cyclocross in the 60s and 70s, is traditionally held on Boxing Day, the holiday one day after Christmas. The event is held at the Formula One Circuit Zolder speedway, which was also the host to the 2016 World Championship won by Thalita de Jong. 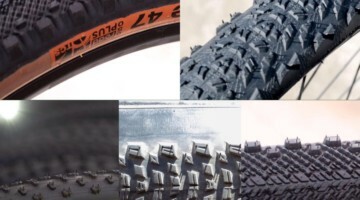 The race at Zolder is one that fans and riders alike look forward to each year, and American courses have begun to mimic the choose-your-own adventure section through the trees outside the race track. The first third of the Zolder course is defined by its technical corners. The circuit then opens up into several power sections in the middle third, and finishes with a series of technical drops and steep uphills that put a premium on short bursts of power. 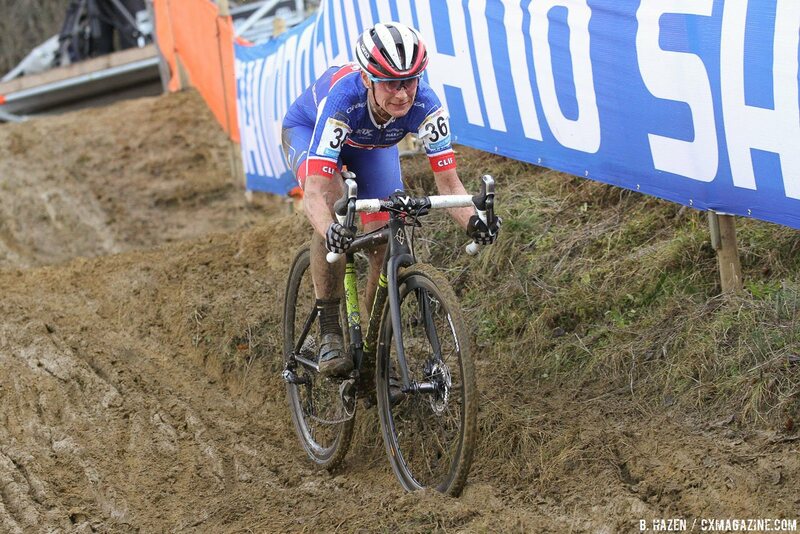 The technical portions of the course were made trickier by a rain storm that passed through the Belgian town of Heusden-Zolder during races earlier in the day. 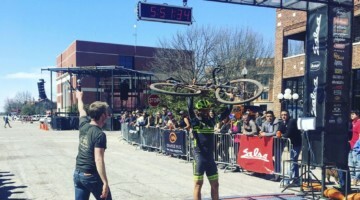 American riders Ellen Noble (Aspire Racing) and Amanda Miller (Boulder Cycle Sport / Yogaglo) had success among the trees in Little Zolder at the Trek CXC Cup in Waterloo, Wisconsin, and they continued that success at the real Zolder early in the race on Monday. 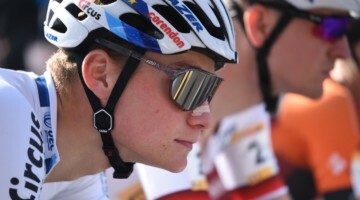 Noble, the current U23 Women’s leader, showed she came to lay rubber on the tarmac of the Circuit Zolder track by taking the holeshot and leading the riders out onto the course. Miller got off to a solid start from her second-row position to stake out a position in the top five as well. Ellen Van Loy (Telenet Fidea Lions) has been a mainstay at the front during the early stages of races this year, and Monday was no different. The Telenet Fidea Lion, after sitting out Diegem due to “lack of fitness,” found Santa delivered some on Christmas and broke off the front in the latter third of the first lap and held a seven second lead on her chasers heading through the start/finish straight. Vos, Friday’s winner at Diegem, had a slow start after being forced to take a pit bike shortly after the start of the race and sat in 10th place behind the chase group. Van Loy’s solo time at the front would last until the mid point of the race, when a large chase group finally hunted her down. The race entered the penultimate lap with a large group consisting of Van Loy, Eva Lechner (Clif Bar Pro Team), Cant, Sophie de Boer (Kalas-NNOF), Lucinda Brand (Rabobank Liv), and Vos at the front, and a chase group of Nash, who was returning from a flat tire, with Christine Majerus (Boels-Dolmans), and Miller sitting 11 seconds back. The middle portion of the Zolder course had several power sections that provided an opportunity for riders to show off their horsepower. Road standout Brand showed her strength in this section, using her power to drive the front of the race heading into the technical ups and downs at the end of the circuit. 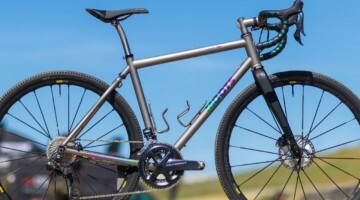 The descents and ensuing steep ascents also placed a premium on short, explosive power. As the afternoon progressed, it became clear that riders who could ride up the muddy ascents instead of dismounting would have an advantage in the final lap that was shaping up. On the penultimate lap, although not on the lead, Vos showcased her power, riding up the steep ascents much of the lead group was being forced to run. 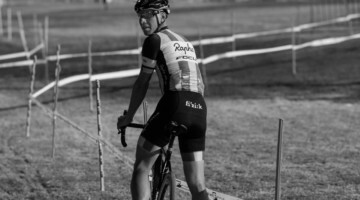 Several riders had put in efforts to break away from a large group of riders—Van Loy, Lechner, Brand—but during those efforts, the presence of Vos loomed large. 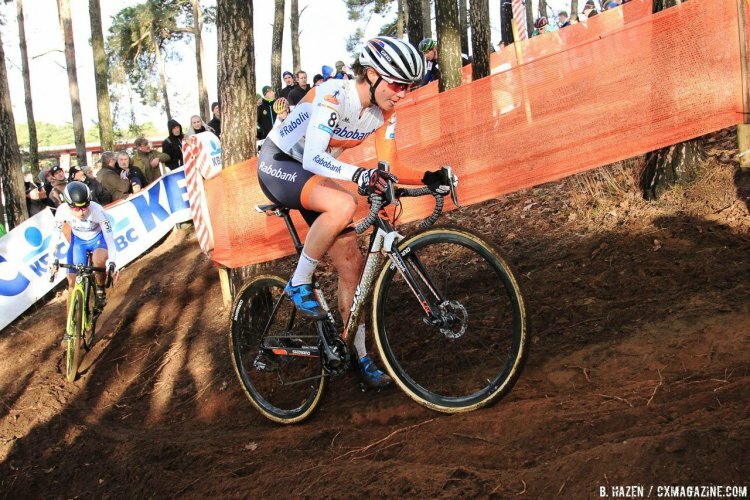 The cyclocross powerhouse overcame a slow start and slowly made her way back to join the group of seven vying for the win at Zolder. 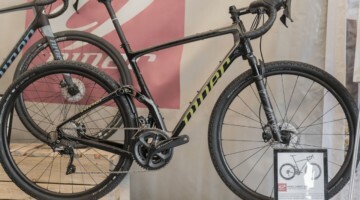 The latter half of the course was tailor-made for Vos’s skills, with power straights followed up by the explosive uphills where a clean ride could provide the space needed to win. 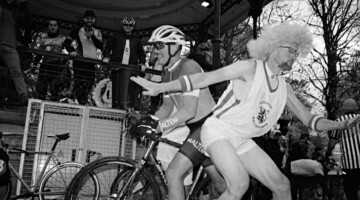 However, Vos was not alone in displaying skills that could be the deciding factor at Zolder. 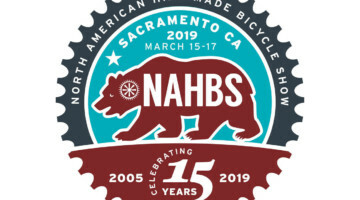 During the previous lap, Brand showed that she had the power to ride at the front, and last week at Namur, Nash demonstrated that her mountain bike skills could make a difference on the slick descents. And although she had not yet made a strong play to take the lead, fans were also wondering if Cant was waiting to display her technical prowess and mastery at jockeying for position. With the technical corners looming at the start of the lap, Nash jumped, seizing the opportunity to ride at the front. 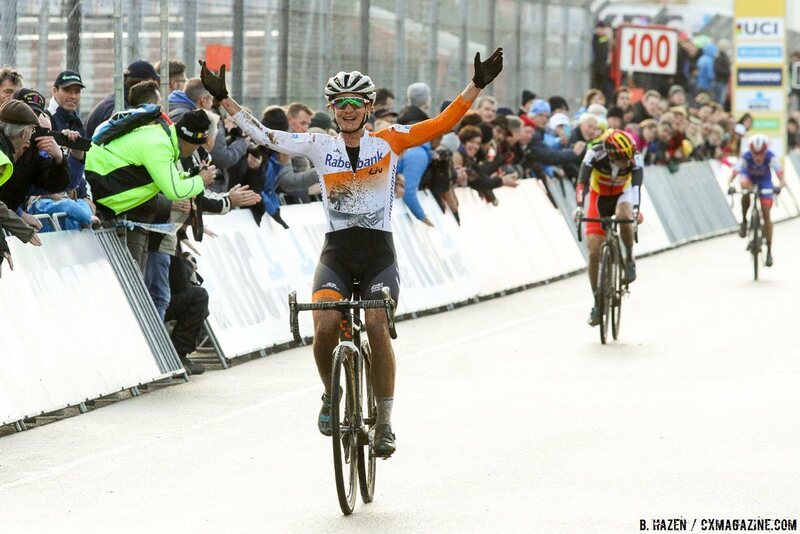 She put in a strong dig through the start/finish straight to take the lead heading off the Circuit Zolder tarmac. Nash’s time at the front would be short lived however, and Vos asserted herself on an uphill before the famed tree maze and took over at the head of the group. Nash looked to avoid letting Vos enter the power sections with the lead. 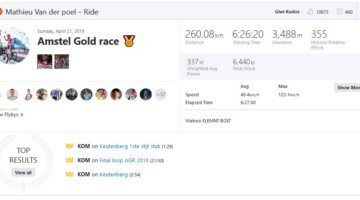 Two key moments of the final lap occurred when Nash got out of the saddle to try to pull around Vos, but each time, the Dutch rider was able to counter the move and hold off the challenge to her lead. One of the more memorable sections of the Zolder course is a steep uphill that turns left into an off-camber along a wall. 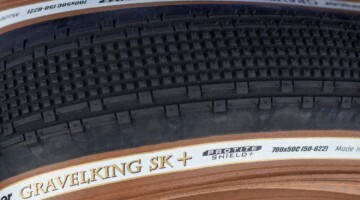 Riders have a choice between a rutted upper line and a less worn-in lower line. 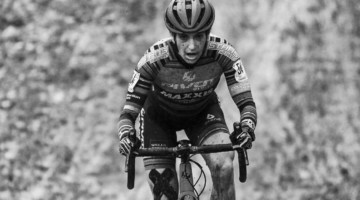 Vos hesitated slightly on the upper line when she had to dab her foot, and Cant and Nash were able to get back on her wheel on the ensuing uphill. 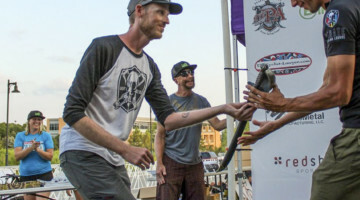 As the riders made their way to the muddy and technical ups and downs, the trio of Vos, Cant, and Nash had opened up a small gap. Vos’ display of power at the front appeared to take a toll on Nash, and as they entered the technical section, Cant emerged as the rider who would be able to challenge Vos’ supremacy. Cant’s penchant for taking risks makes her an exciting rider to watch, but on Monday a high-risk, high-reward line choice had more risk than reward and ended her chance to defeat Vos. Riders entered the technical up and down section on a steep descent that took a hard left at one of the Circuit Zolder race track barriers. 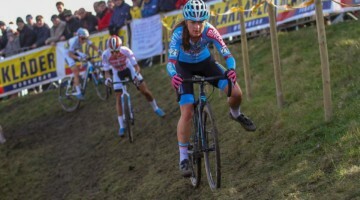 Vos took the well-worn right outside line through the descent while Cant took a chance on the bumpier inside line to the left but it cost her time as she struggled to regain her footing at the bottom of the hill. Suddenly, Vos was gone. 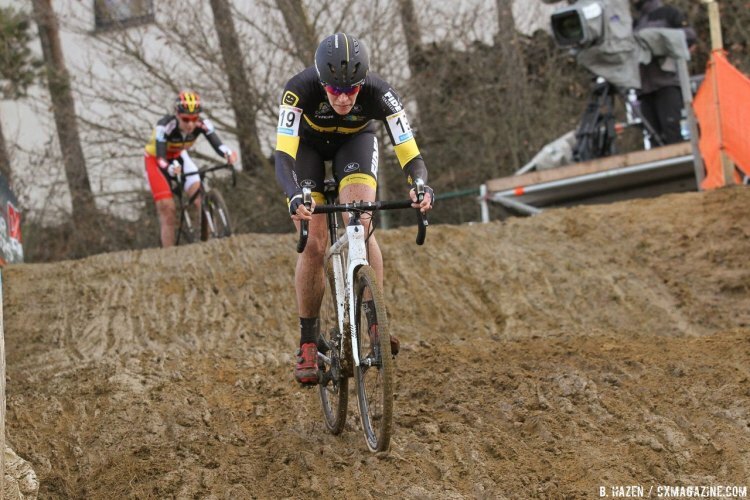 We all know the Robert Frost poem about taking the road less traveled, but unless a rider is Sven Nys, it is almost always better to take the road more traveled in cyclocross, and at Zolder, Cant, running out of time and places to pass, still learned this the hard way. Alternatively, the modern poet Omar from The Wire said “You come at the [Queen], you best not miss.” Cant took a calculated risk to try to knock off Vos, and this time, it did not pay off. The small gap that Vos gained at the descent would be all she needed to pull away. 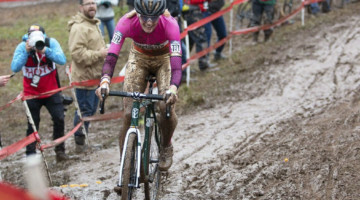 As presaged by previous laps, she was able to blast up the steep ascents and on the last one she rode up and over while Cant briefly paused at the top, giving her the final margin she needed to win her second race of three during her late-2016 return to cyclocross. 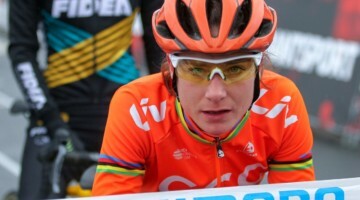 The win at Zolder was her sixth career victory and eighth podium in Zolder—a race that may be renamed the Grote Prijs Marianne Vos in the future. Cant finished second, just two seconds behind with Nash in third, another two seconds back. Brand (13″) and Lechner (16″) rounded out the top five. World Cup series lead Sophie de Boer had a tough afternoon, but still managed to grind out a sixth place finish (22″). American rider Amanda Miller continued her series of impressive World Cup performances with a tenth place finish (50″). She entered the last lap just 20 seconds off the lead group and edged out Laura Verdonschot (Marlux-Napoleon Games) for the last spot in the top ten. 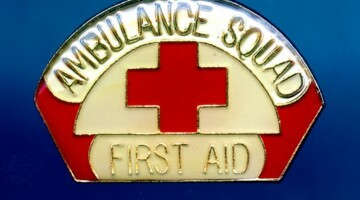 Emma White finished 14th, and Ellen Noble finished 19th. After riding in the top five during the first two laps, Noble suffered a mechanical but retained the U23 jersey with her top 20 finish. Sunny Gilbert made the trip and crossed the line in 39th, and Belgian-based Christine Vardaros in 52nd. Despite tough sixth place finish, Sophie de Boer retains an 373-335 lead over Cant in the overall World Cup standings. 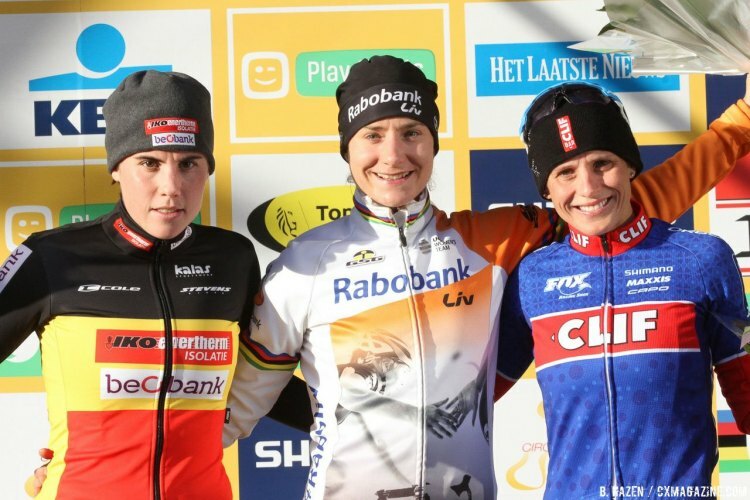 Noble retained her U23 World Cup leader’s jersey. 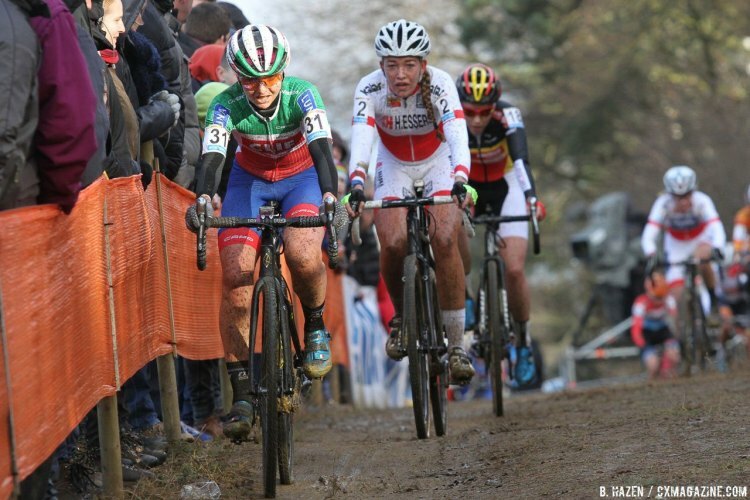 The next World Cup race is Sunday, January 15 in the Italian town of Fiuggi, which is located in the Lazio region 90km east of Rome. 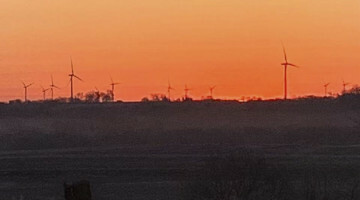 Full photo gallery below the results. See the 2016 Zolder Cyclocross World Cup men’s report here. 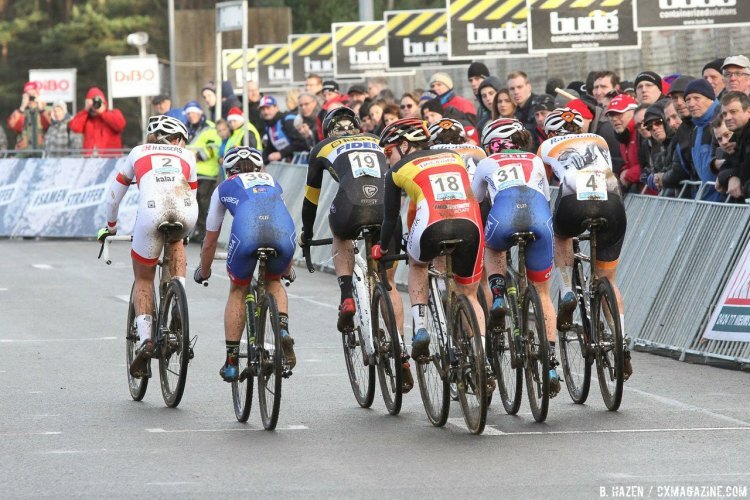 Check back later today for U23 and Junior Men’s Zolder World Cup coverage.